Bridal gowns come in a variety of silhouettes and styles, but what about their personalities? 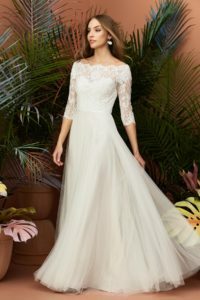 A gown’s personality is what makes it unique, and what brings it to life for the bride. 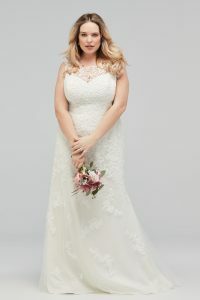 Watters Wtoo is known for beautiful soft and flowy gowns. These are gowns that feel romantic and dreamy, and are as at home on a mountain top, as they are on a beach, translating easily from destination to tradition. When the Watters Designers are creating, they have more than just the soft and flowy in mind. For every bride who wants her gown to feel like a wisp of cloud, there is a bride who wants her gown to feel like fireworks. These brides love the showstoppers. These gowns make an entrance and an exit, and deserve the audience they command.